The opportunities that are presented to college students during their four years of studies are virtually endless. 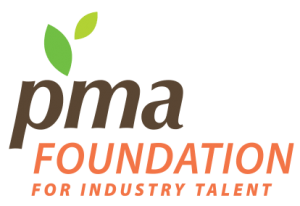 There are chances to meet different people and ways to become successful in the agriculture industry. One way to do this is to study abroad. Being agricultural students, many of us grew up participating in organizations like 4-H and FFA. But how many of us are involved with Collegiate FFA or alumni groups? In reality, not many of us are. We cherish our time in these organizations and, many times, wish we could go back to them. But instead of going backwards, why not grow with these organizations like we grow with life? As an alumni member of 4-H, you can be involved in very important ways. Not only can you keep up with the latest news, but you can get information on events that you can help out with like the 4-H National Convention. 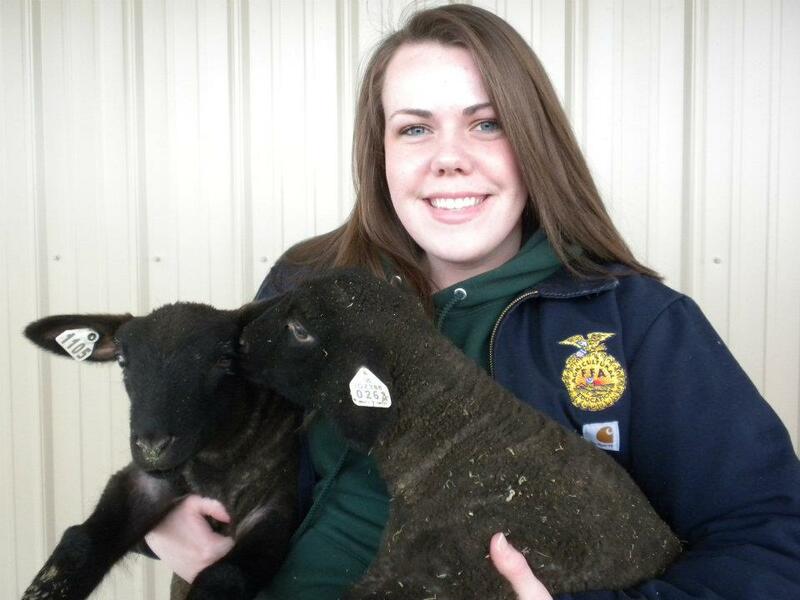 You can share your 4-H story and inspire others to join or continue with the organization. 4-H has grown some very famous people like Jennifer Nettles, Julia Roberts and Al Gore. Working in agribusiness doesn’t mean you need to dress like you work on the farm! And as a young professional, you have to establish a different wardrobe from college or weekend wear. This doesn’t mean you have to break the bank or have only work clothes in your closet. Finding a work wardrobe that goes the extra mile is simple if you just make sure you have these few work wardrobe essentials. I’ll also suggest a few of my favorite stores and the best ways to get more for your buck! You can check out the AgCareers.com Pinterest page for other great wardrobe ideas. • Tan flats are great staple that can match all outfit colors – If you are willing to spend more for great quality, Tieks are comfortable flats that are very durable. Ann Taylor can have great sales and you can get stylish flats for a great price! • Booties are a great way to transition between seasons without having to buy new shoes! Find a heel (or no heel) that you are comfortable with and you can wear them with all outfit types, dresses, leggings, slacks, and skirts. Check out DSW for a variety of prices and types! 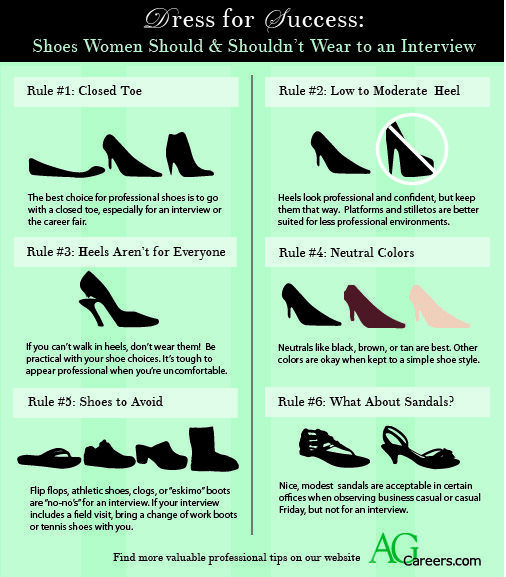 • For more advice about which shoes are best for an interview or career fair, check out this infographic. 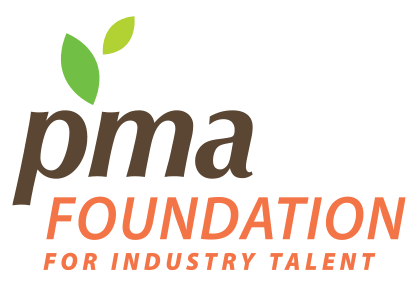 As team member Lauren Shotwell and I prepare to head out to the Produce Marketing Association (PMA)’s Fresh Summit in Atlanta, GA later this week, I find myself thinking about the fresh produce industry as a whole and the vital part it plays in our lives. As today’s consumer becomes more aware of the importance of produce as part of a healthy diet, demand continues to increase and the industry becomes more diverse. There has never been a better time to be involved in this industry! When asked what she likes most about working within the produce industry, Menita Villanueva of Ocean Mist Farms stated, “The people!” It is no doubt that the industry is filled with passionate people who love their work and want to foster an environment that welcomes new talent to keep it growing strong. Emma Lackey grew up in rural Ontario, Canada and soon discovered her deep passion for agriculture. In her early teens she started working part-time on a dairy farm; soon she was spending every weekend and summers on the farm. “By the time I graduated from a prestigious Canadian university, I already knew I wanted a future in agriculture,” shared Lackey. She moved home and started working full-time on the farm, milking, feeding, cropping, fixing and loving every minute of it. Lackey wanted to stay involved in ag while also putting her degree to use. 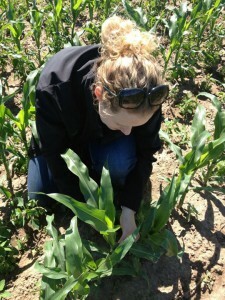 She learned about AgCareers.com from many of the farm-related publications she regularly read. 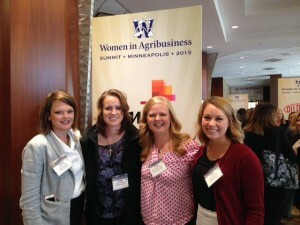 “The AgCareers.com site was easy to navigate and I checked often for job postings that interested me. I was excited to discover a site that could connect me with so many opportunities in the agricultural industry,” added Lackey. As college students one of our primary focuses is trying to be actively involved on campus in order to help achieve personal growth as well as becoming acclimated with the climate at our respective school. One major thing that happens to be overlooked is volunteering in the community surrounding one’s respective university. By volunteering on campus as well as off campus you are helping to create personal relationships with people of varying career fields, which can help lead to better networking opportunities in your future endeavors. If you’ve ever called in to AgCareers.com with a question about how to use the site, you’ve probably talked to Bonnie. 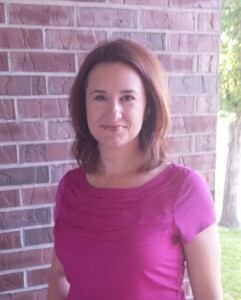 Bonnie Johnson, AgCareers.com’s Marketing Associate who works out of the Ames, Iowa office, is celebrating five years with the organization this week. Bonnie shares what her work involves and memories from her time with AgCareers.com. Are you aware of your own surroundings, the people you work with and their mood at work? 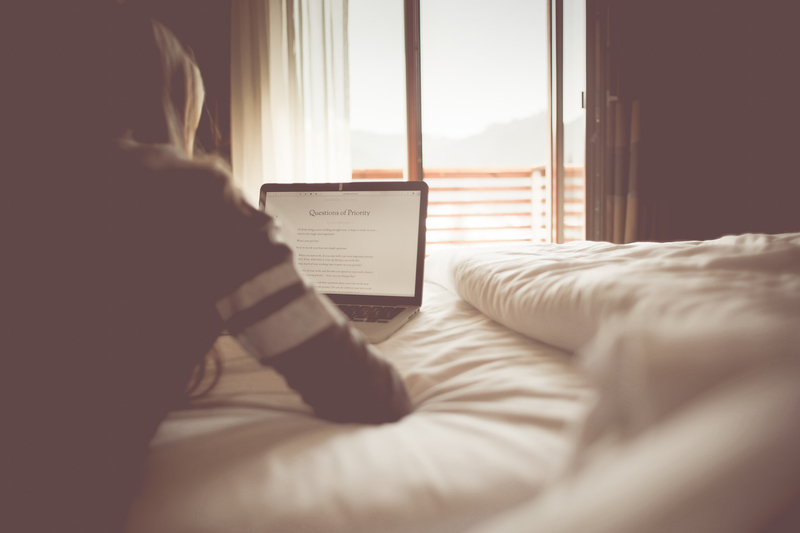 Do you consider your own frame of mind and the impact it has on your productivity and others? Having Emotional Intelligence starts with self awareness and your ability understanding your own disposition, but is it is also about being aware of that of others around you. 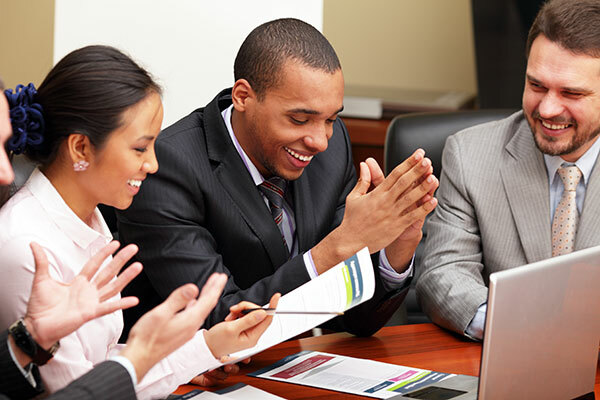 In the work place we spend a great deal of time with others and our own personality and state of mind often dictate employee engagement and satisfaction, based on the interactions with others. In reality, our emotions will fluctuate on a spectrum; ranging from high to low. Often people exhibit traits of having a relatively stable state, and others tend of swing widely on the spectrum. Interpreting the meaning and reaction to others emotions is the essence of having emotional intelligence.